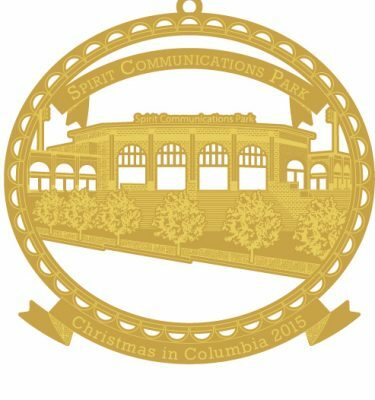 The 2012 Christmas in Columbia Ornament of Opportunity depicts the Robert Mills House! 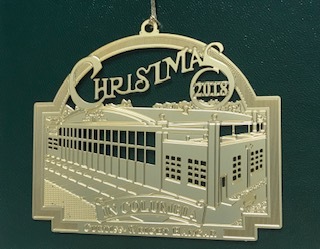 The limited edition, collectors series ornament in 24-karat gold on brass. It comes in its own felt case, with a number Certificate of Authenticity. 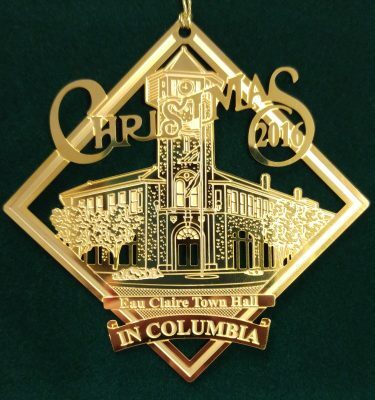 Proclaimed by the Honorable Steve Benjamin, Mayor of Columbia, as the 20th Official City Ornament. Robert Mills was born in Charleston, SC in 1781. Mills was the first American born achitect of our time and was an apprentice under John Hoban, architect of the White House. From his first competitive design of South Carolina College in 1802, until his death in 1855, he was responsible for more than fifty important architectural works including houses, churches, hospitals and government buildings. The Washington Monument is his most notable work. In 1823, local merchant Ainsley Hall and his wife, Sarah, commissioned Mills to design a Classical Revival home. Ainsley Hall died before the home was complete, leaving a contested estate. Ultimately, his wife sold the house to the Presbyterian Synod of South Carolina and Georgia, and it served as a seminary until 1927. When the seminary moved in 1927, the home fell into disrepair and was slated for demolition in the early 1960’s. After a major grass roots movement, the home was saved and after extensive restoration, the property opened in 1967 as a historic house museum. Now known as the Robert Mills House and Gardens, it is one of only five National Historic Landmarks in the city.